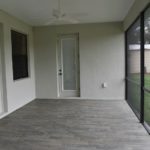 Home Renovations, Lakeland, FL | Integrity Homes & Construction Inc.
We have been helping Lakeland, FL homeowners with home renovations for over 20 years. 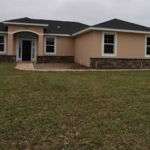 Home Renovations in Lakeland – Are you thinking about selling your home and buying another because your current home is not suiting your needs? If so, we would love to talk with you! At Integrity Homes & Construction Inc., we love to work with homeowners who find they can save the cost of relocation by having home renovations done that will correct just about any issue. It is costly to sell and purchase a home due to the various fees involved. We often find that the cost for the home renovations is actually less. On top of that, you don’t have to incur the moving costs – both financial and physical! Avoiding relocating is just one reason for home renovations. We can also work with you if you are looking to preserve or increase the value of your home by modernizing it. Very little adversely affects the value of a home more than being outdated. 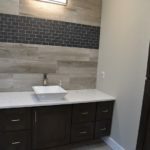 Home renovations, such as a kitchen remodel, bath remodel, or even an addition, can do wonders for making your home more valuable and enjoyable. We have been helping Lakeland, FL homeowners with home renovations for over 20 years, so we are confident that we can give you the home of your dreams! We would be glad to meet with you to develop a plan for your home renovations that will fit your budget, dream, lifestyle and needs. We provide a detailed estimate free of charge that takes into account every detail of the project. You will know upfront what your home renovations will cost with no hidden surprises. We work to combine aesthetics with the function to create home renovations that will be structurally sound, functional and gorgeous. Give us a call today to schedule an appointment. 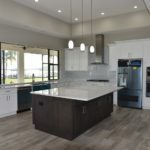 Integrity Homes & Construction Inc. offers professional home renovations to clients in Lakeland, Davenport, Groveland, Auburndale, Sebring, Bartow, Haines City, Winter Haven, Plant City and all of Polk County, Florida!